Studio Projects outfits the industry with unbeatable audio elements. This Shock Mount for the B Series Condenser Microphones acts as a filter for low-frequency signals. It's the ultimate accessory because it reduces mechanical noise by up to 15 dB! Box Dimensions (LxWxH) 7.2 x 5.4 x 3.1"
Shock Mount for B Series Condenser Microphones is rated 4.7 out of 5 by 9. Rated 4 out of 5 by Tracy from Great Aftermarket Solution for 414 One of my AKG C 414B XLS was purchased as a display model without any accessories or packaging. I love that microphone. I wanted a shockmount for it, but by the time I spent the $ for a stock AKG H-85, the price I paid for the 414 didn't seem as much of a deal. After a little research, I bought this Studio Projects mount, and it works like a charm. The only drawback compared to the AKG mount is that the tension holding the mic in place is not adjustable. You can't loosen the SP mount for mic removal. It is tight enough to hold the mic securely, but it can be a little challenging to remove it between uses. While the AKG is a superior design, it is made of plastic. The SP is made of sturdy metal and a whole lot easier on the pocket book. Rated 5 out of 5 by Dailyvo from Exactly what I wanted I got an early SP B1 microphone used from a friend (it lacks switches and doesn't come with a shockmount, unlike the current model.) I ordered from B&H because Studio Projects website was actually out of stock, and B&H always has great stuff and shipping prices. I was worried the mount wouldn't fit this earlier model, but it fits perfectly, and looks great, too. All metal and thick plastic, with plenty of replacement bands to boot. I'm always happy with B&H, will definitely order from them again. Rated 5 out of 5 by WilliamDoney@ from perfect upgrade for the B-3 mic use it for condensor B-3 mic in my home studio. easily adjusts, easily locks and DOES NOT MOVE/SAG! the original mic clip that came with the mic wouldn't stay in position = frustration. and for under $20 for a shockmount, can't beat it. i haven't tried other mics, but the mount appears to be generic enough to be used with other mics. great purchase! Rated 3 out of 5 by Anonymous from Good, but not for 414 Good, solid feeling shock mount, especially for the price. However, if you're looking at using this with a 414, it's not ideal. It rests in the inner cylinder a little loosely and will rock in place ever so slightly if the stand is bumped, which defeats the purpose of a shock mount. Rated 5 out of 5 by a.john fuller from These work pretty good! This is the way to go and much less expensive than any alternative. I use a pair of these with my akg 414s and have no problems with them. I feel comfortable hanging the mics upside down. B+H ... was the best value online or in the real world. Rated 5 out of 5 by Preaching Beats from Dont Hesitate!!! This mount is perfect for people any AKG C 414 B owner like me who accidentally broke there high dollar original akg shockmount. I know be more careful. This mount will perform as well as original. Dont Hesitate!!! Rated 5 out of 5 by Audio Guy from Works Well with AKG 414, Good Price In studio vocal recording. Fits AKG 414 perfectly. Came with an extra set of elastic bands. Great price. Metal construction. Rated 5 out of 5 by Deputy Jones from Fits an AKG C414 It's cheap, but it's $ and it keeps garbage out of your recordings. 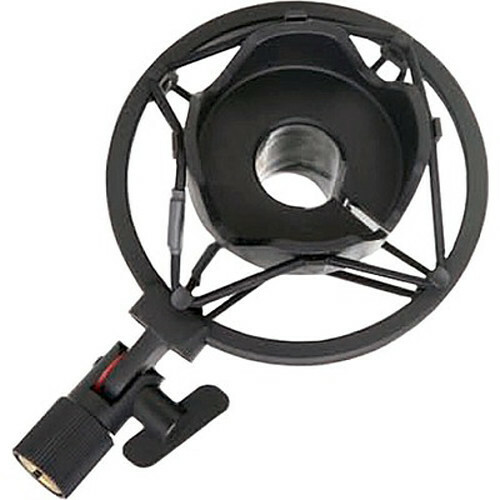 The AKG C414 shockmount is $. It'll last about two years.